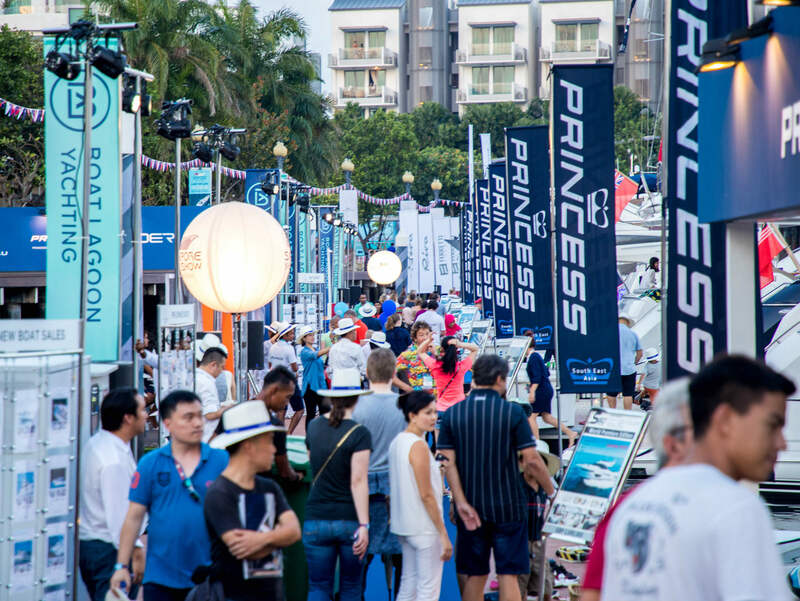 The eighth edition of the Singapore Yacht Show went off in style, with a gleaming fleet that drew good crowds of local and international visitors. 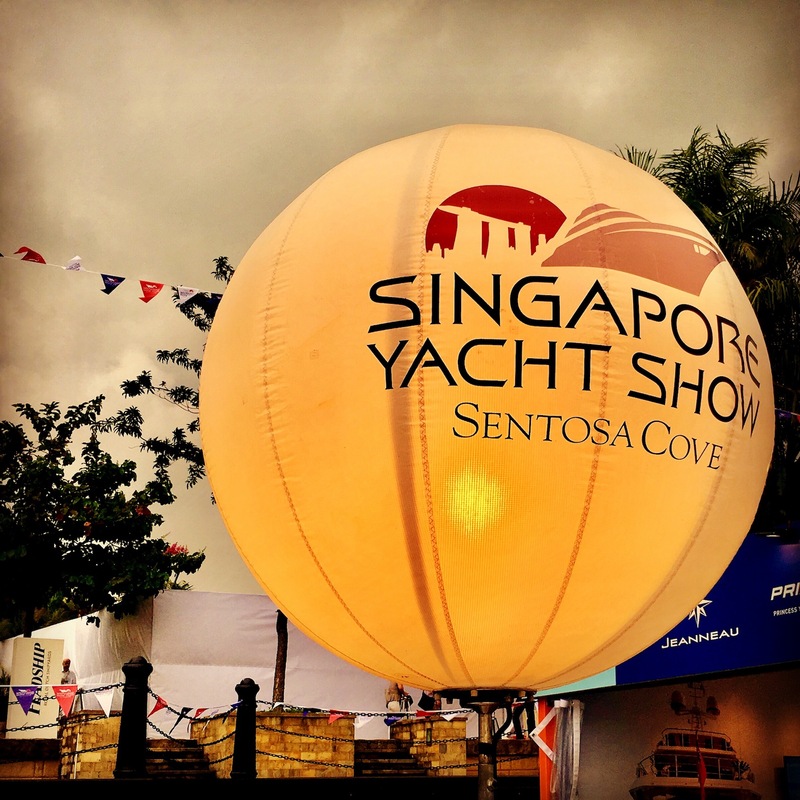 One of Asia’s premier luxury lifestyle events, and the major boat show for the region, the Singapore Yacht Show (SYS) took place from 12–15 April this year at ONE°15 Marina in Sentosa Cove, with the support of the Singapore Tourism Board and the global yachting community. Organisers report attendance figures slightly up on last year, with 15,000 visitors having perused the 90 yachts and superyachts over the four days. Several exhibitors announced sales on the first day, including the Beneteau Group and Princess Yachts, while others reported successful brand awareness activities and high levels of quality enquiries that should result in sales. 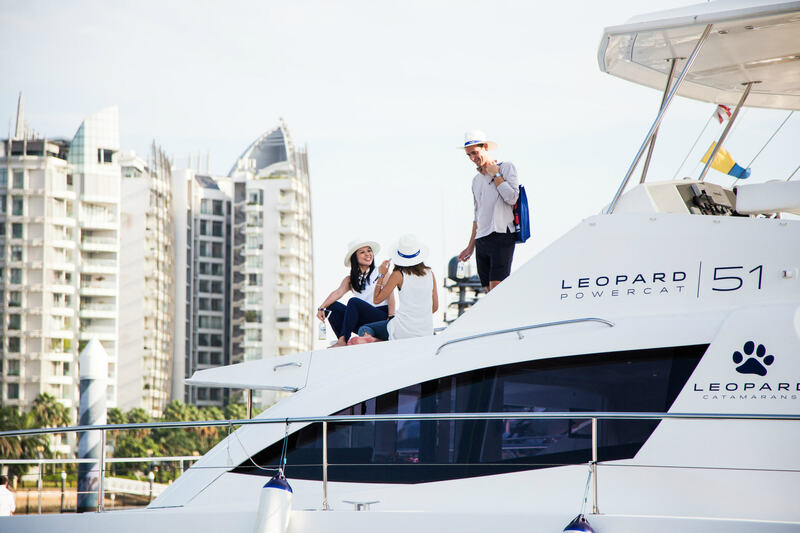 Many commented that even though it is a difficult show for sales due to the shortage of local marina berths – there is a waitlist of up to eight years in Singapore and Hong Kong – it is still important to be present in the fast-developing South-East Asian yachting market. Feadship, Benetti, Lürssen, Amels, Heesen, Ferretti, Sanlorenzo, Gulf Craft, Westport and SilverYachts returned to engage with the fast-growing, increasingly affluent and lifestyle-loving Asian audience. Riviera proudly displayed the 5400 Sport Yacht along with the largest model in the company’s fleet, the 77 Enclosed Flybridge, while Maritimo presented its M51, and Grand Banks displayed the Eastbay 44 and the Palm Beach 52. New exhibitors at the show were Dynamiq Yachts and drone company Martek along with a range of prestige nautical products. The Beneteau Group made a strong appearance, with 14 boats on display to represent six of its brands. 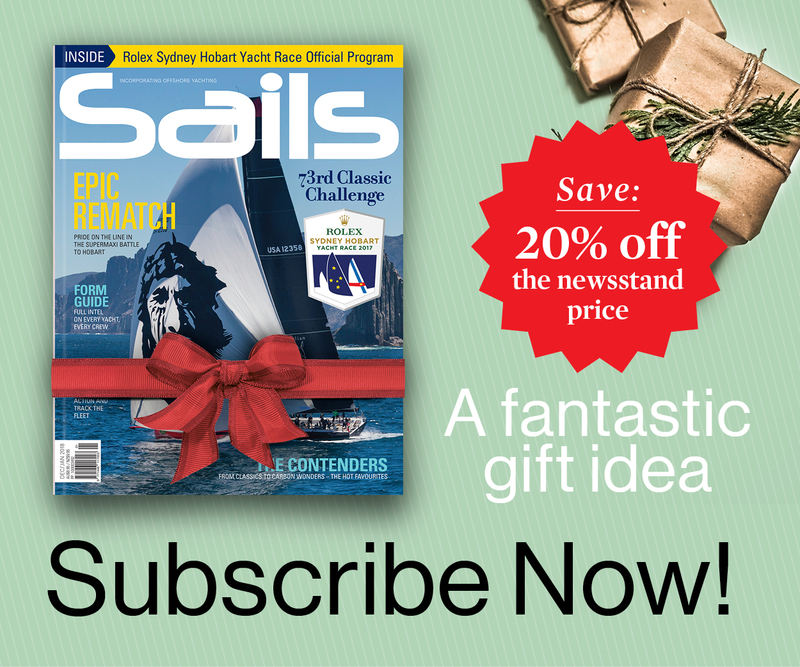 Three of these were Asian premieres: the Jeanneau Sun Odyssey 440; the Oceanis 51.1; and the Lagoon 50. Also making their regional debuts were Princess 30M, Princess 55, Sanlorenzo 78, Azimut 27 Grande Metri, Ferretti 780, Riva 76 Perseo, Fountaine Pajot MY44, Maritimo 51, Palm Beach 52, and Sunreef Open 40. The largest yachts in attendance were M/Y La Familia, an AMELS 55 shown by Eastwinds, and M/Y Aquamarina, a 47-metre ISA shown by Burgess. M/Y Lady Azul, a 40-metre Heesen, presented by Camper & Nicholsons International, was the only superyacht at the show available for private charter. For Treadwell, the show is just as much about bringing high-end yachting tourism to the region as about developing the market for global industry. “This show has been, and will continue to be, a springboard for getting governments from all around this region – especially the ASEAN nations, who have almost unlimited yet completely unexploited natural assets for cruising and chartering – to open up their waters for yacht owners and charterers,” he explained. The glamorous ‘All that Glitters’ Sentosa Ball at the W Hotel brought together Asia’s most influential yacht owners and industry captains. 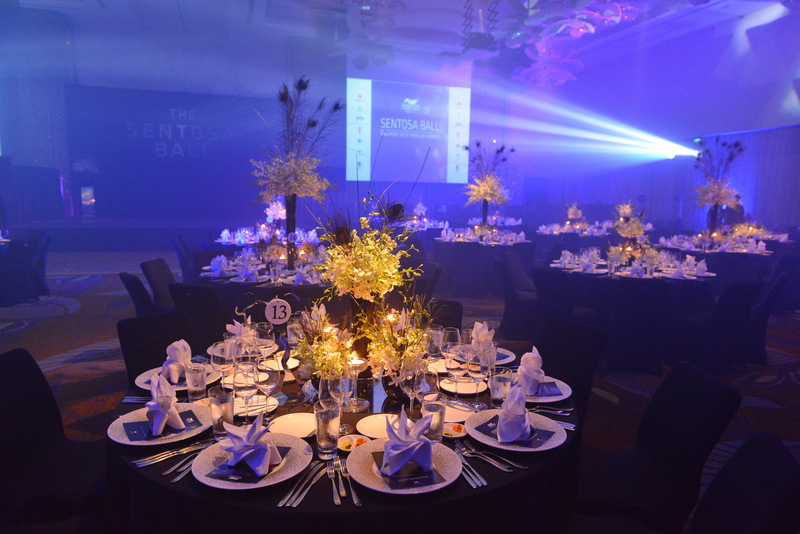 Attendees were dressed to the nines in silver and black and entertained by performers from Cirque du Soleil. Camper & Nicholsons Asia used SYS as the backdrop for the announcement of its new Commercial Director, Bart Kimman and Asian expansion plans. 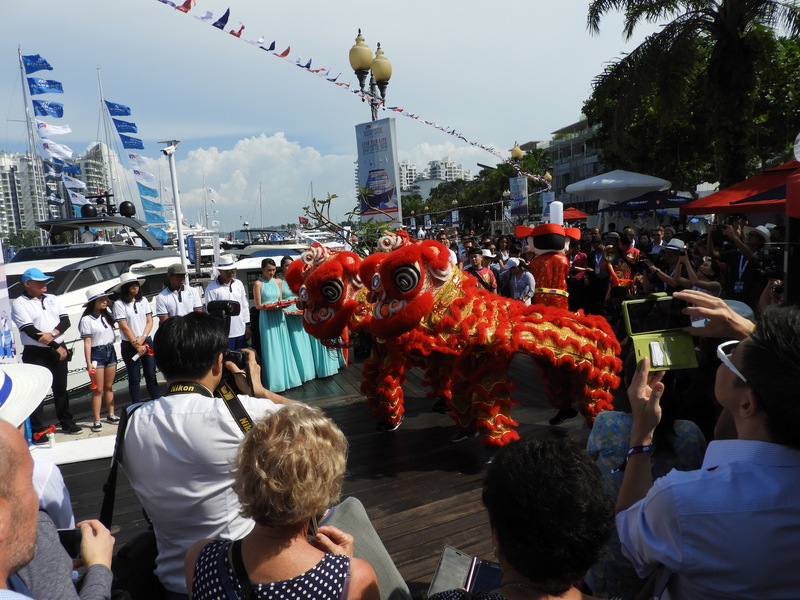 The 10th Asia Pacific Superyacht Conference was held just prior to the Singapore Yacht Show in Sentosa Cove and saw key stakeholders from all parts of the world come together for two days to listen and discuss the issues facing the Asian superyacht industry. 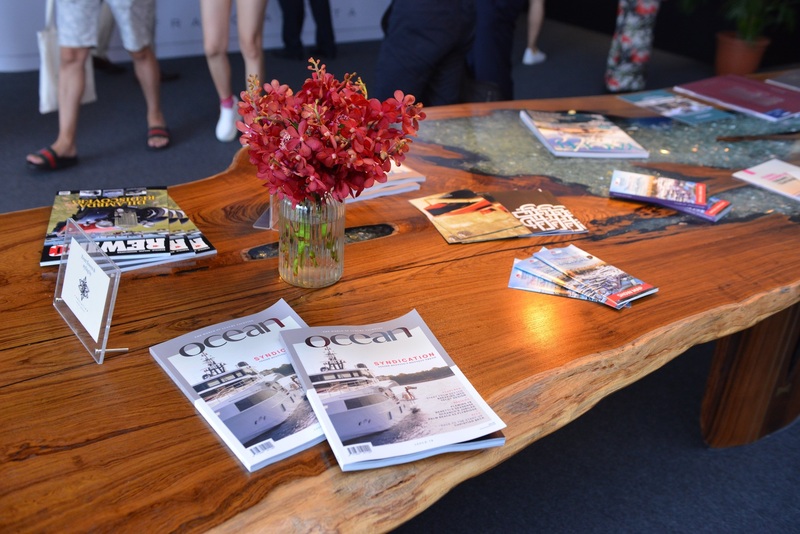 The conference provided industry professionals with a nautical chart for moving the superyacht industry forward in a sustainable way, and a strong contingent of Australian companies represented a cross-section of our superyacht industry. The theme of this year’s conference was ‘Turning Issues into Opportunities’. One of the major topics of discussion was potential marina projects where yachting infrastructure does not exist in Asia, for example in some parts of Thailand and Indonesia. 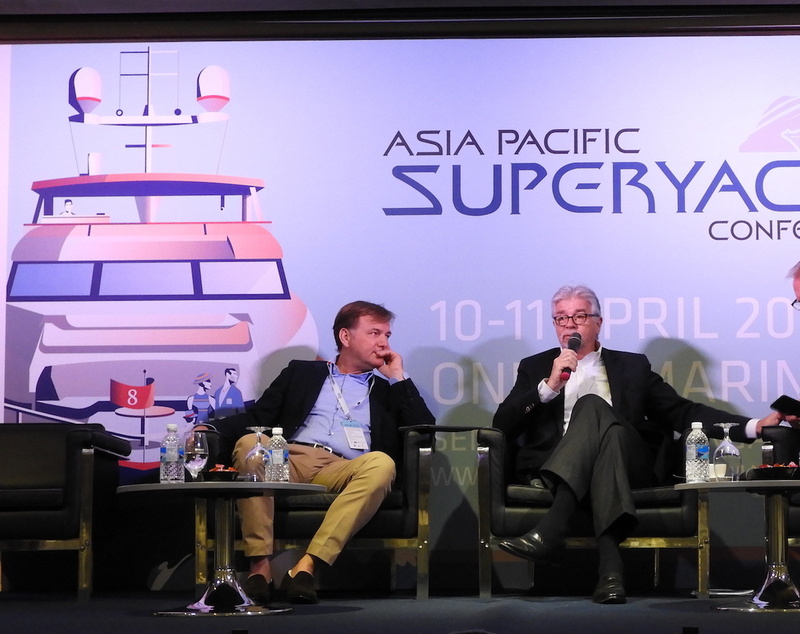 Key expert panellists Nigel Beatty (Asia Pacific Superyacht Association), Jean-Marc Poullet (Burgess Asia), and Barry Jenkins (Superyacht Australia) shared their knowledge of regional developments in the superyacht industry. Tobias Kohl (MTU) explored the possibility of a one-size-fits-all configuration for e-propulsion systems. Then a panel discussion between Carmen Lau Stratton (Camper & Nicholsons Asia), Rock Wang (Burgess China), Farouk Nefzi (Feadship), Peter Mahony (Benetti), and Luigi Adamo (Sanlorenzo), reviewed the needs and preferences of Asian clients and how to create an Asian-focused customer experience. 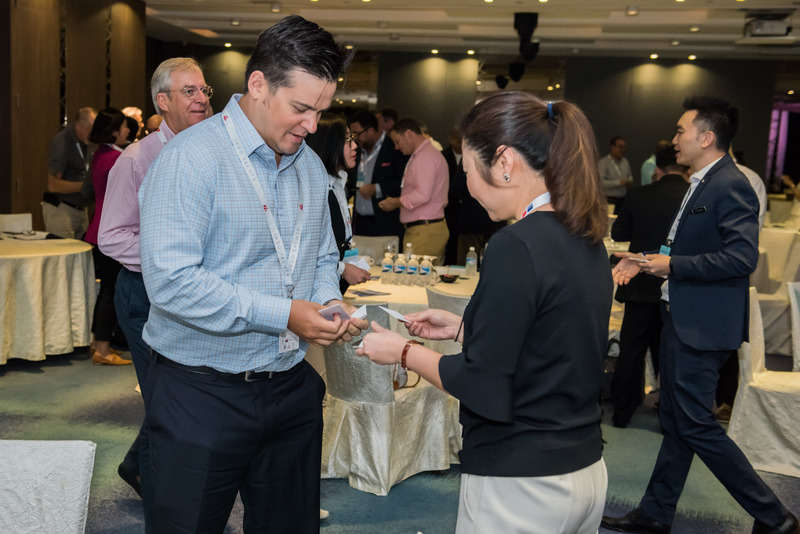 The final session of the day was a series of round-table discussions centred on maximising strategic partnerships in Asia; managing successful marinas; connecting tourism and yachting; yacht coatings; and developments in satellite communication. 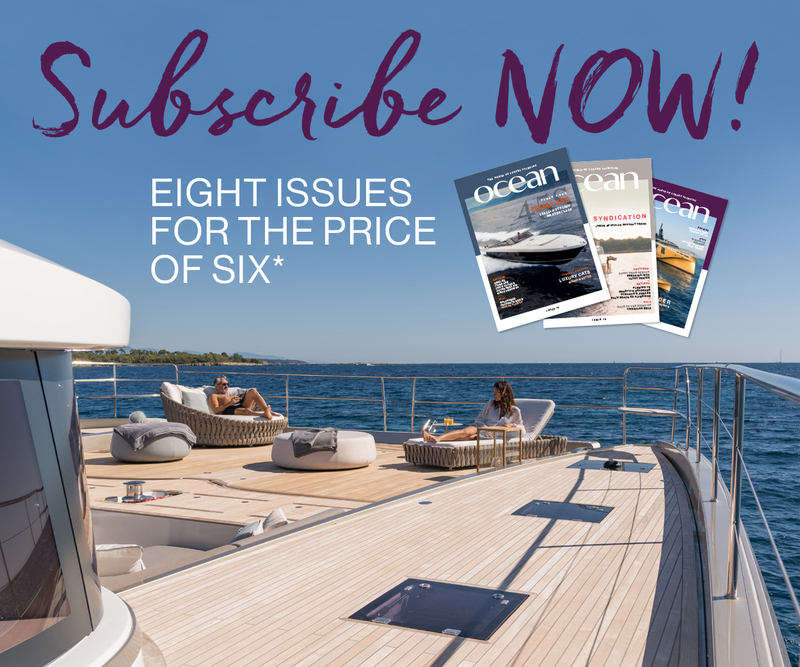 A “fireside chat” with Michael Breman and Espen Oeino, on the prospects for the ultra large yacht market, brought the proceedings to an optimistic close.